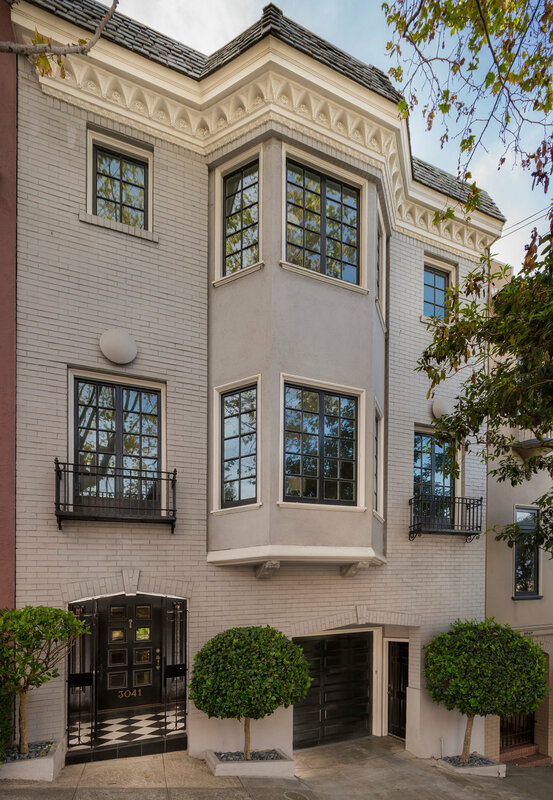 This refined home in desirable Cow Hollow has a stately façade and shingled roofline that belie the tasteful contemporary style of its spacious multilevel interiors, all recently updated. 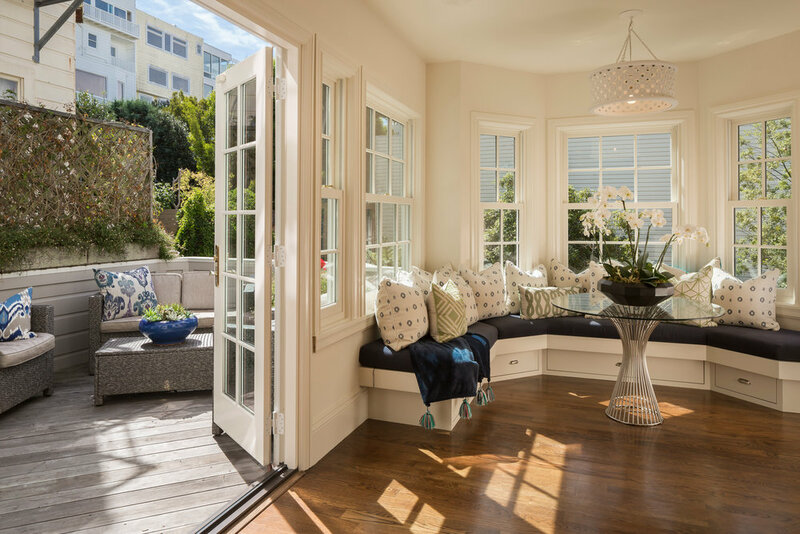 Spanning four levels and offering five bedrooms, three and a half baths, the home blends San Francisco classicism with modern fixtures and amenities, creating a uniquely appealing home. Upon entering the main level, one immediately appreciates the delicate balance between preserving historical architectural details and creating a contemporary atmosphere. 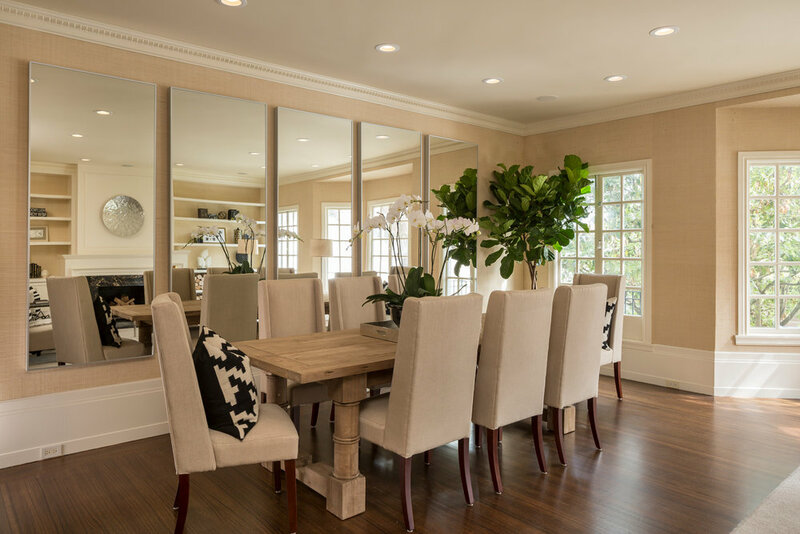 A highlight of the home is the chic living/dining room, which boasts a regal arched entryway, handsome hardwood floors, classical moldings, a wall of windows, and marble fireplace flanked by plentiful built-in bookshelves. 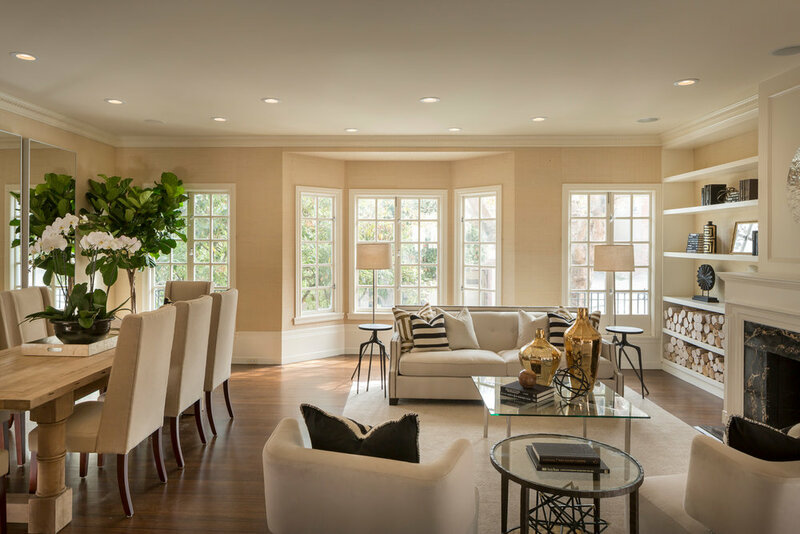 Beyond the central gallery landing is the elegant family room, with its hardwood floors and French doors that lead to a private deck, allowing for a great flow between indoor and outdoor living. 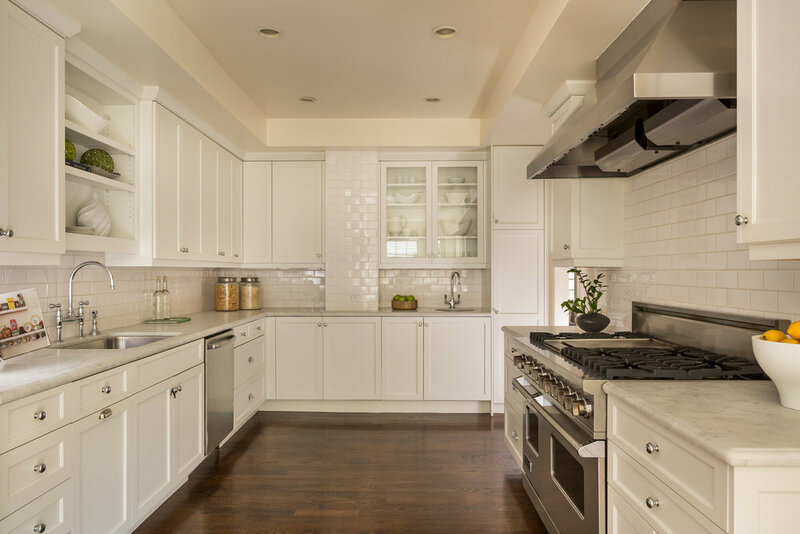 The adjoining kitchen has been expertly outfitted with white Carrera marble counters, white subway tile backsplash, stainless steel appliances including a 6-burner gas range, white shaker cabinetry, and great storage. The adjacent bay-windowed breakfast area features built-in seating and glorious natural light with direct access through a series of french doors to a private deck, perfect for enjoying meals, coffee, or cocktails alfresco. 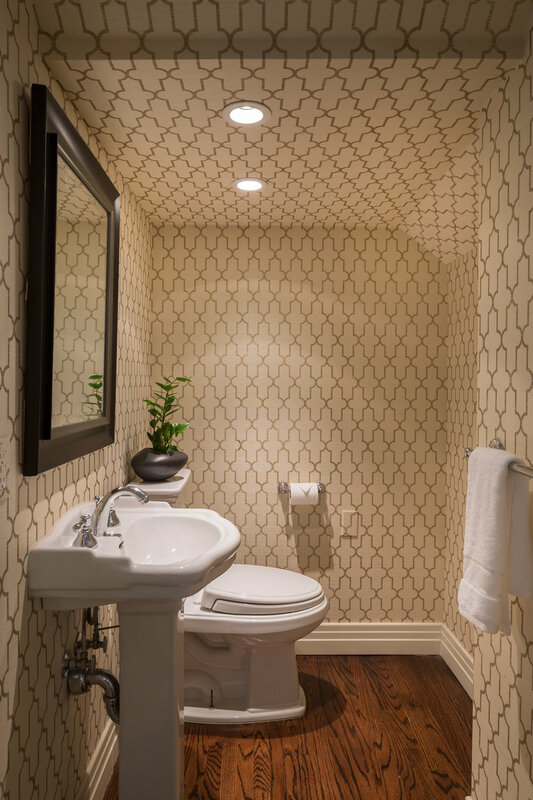 A powder room is conveniently tucked below the stairs. The third level of the home hosts three bedrooms and two baths, including the spacious master suite. 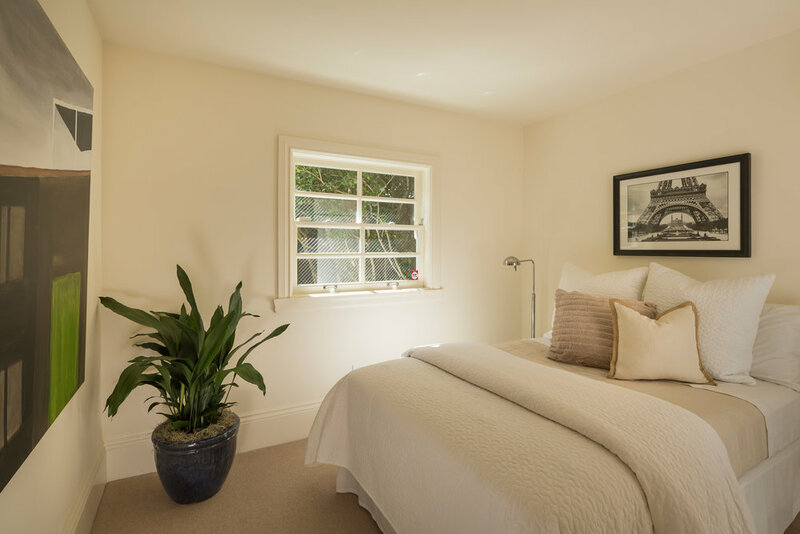 The sophisticated and serene master suite has incredible scale and enjoys a tranquil sitting area nestled in a sun-dappled bay window. En suite is a luxurious bath with a soaking tub, glass-enclosed shower, and dual sinks – all appointed with timeless finishes, including white Carrera marble and subway tiles. A thoughtfully appointed walk-in closet and a series of built-ins complete the master suite. The guest and master bedrooms are separated for privacy by the grand stairway hall and a convenient laundry room. Two restful guest bedrooms share a bath with timeless fixtures. The south bedroom is a stylish space with hardwood floors and a light-filled bay window. 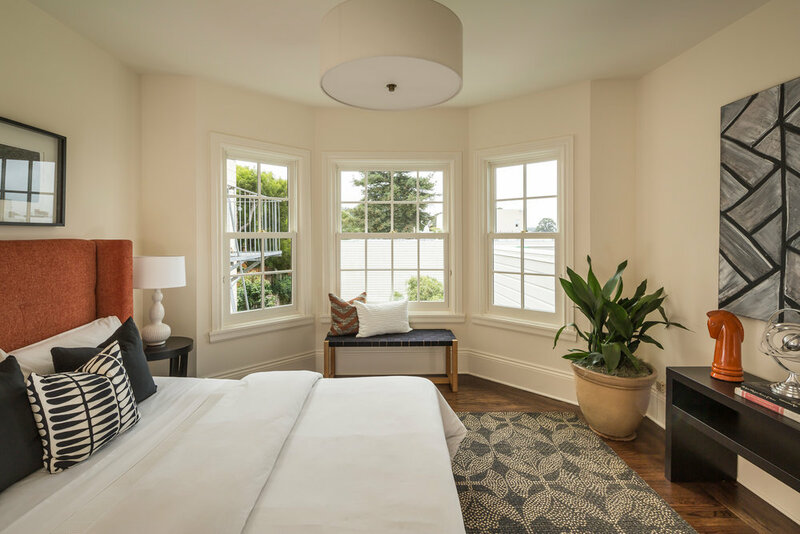 The north bedroom enjoys access to the enviable roof terrace, perfect for relaxation with its whimsical astroturf and views of the Golden Gate Bridge. Completing the top floor of the residence is a built-in window bench with serene outlooks. On the entry level of the home, beyond the formal main entry and past the stairway, rests the office. The home office, which could also serve as a family room, is a cool, quiet, stylish space with a bay window and a series of built-ins. A peaceful bedroom with plentiful windows and a nearby bath are secluded on the rear of the home. A discreet rear stairway affords access from the entry level to the breakfast nook above. An additional bedroom, an office/lounge space, and extra storage are located on the home’s lowest level, accessible via the rear stairway. 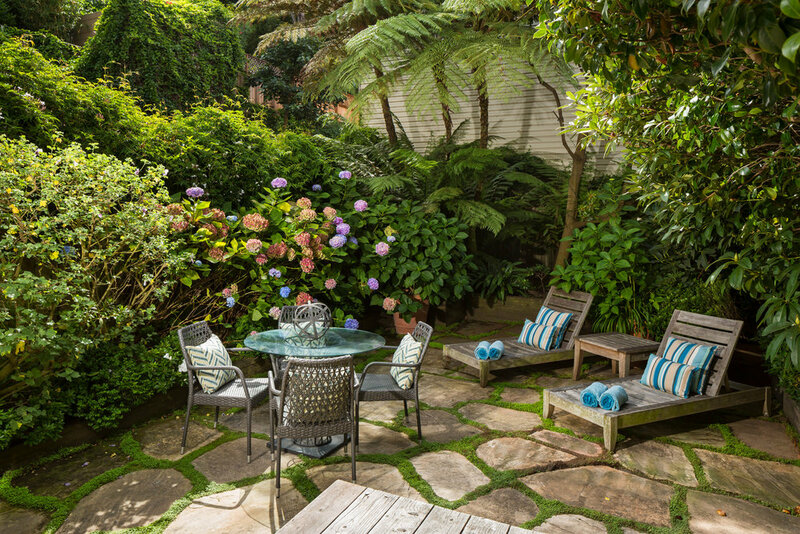 The incredibly private rear garden, accessed from the lower level, is surrounded by mature landscaping, including a wall of hydrangeas, and enjoys a built-in spa and seating bench, creating a serene garden oasis. The garage accommodates two vehicles and includes built-in shelving for storage and direct access into the home. 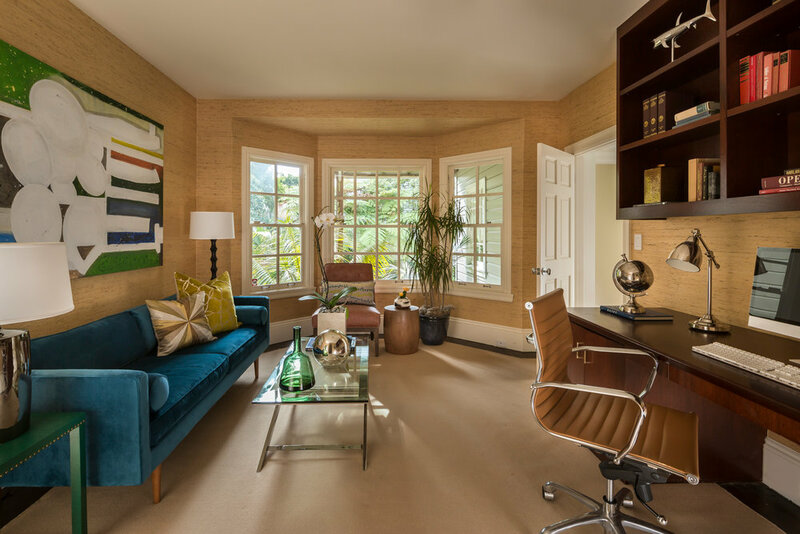 3041 Divisadero St is located on the western side of Cow Hollow and is perfectly positioned near the restaurants and shops along Chestnut St and the Presidio National Park.